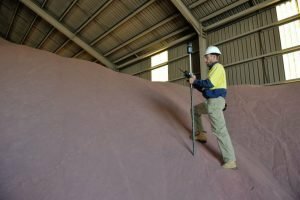 Quantum Surveys has a comprehensive understanding and a wealth of experience when it comes to the various surveying requirements for mines than operate throughout Western Australia. We offer mine surveying services to open cut and green field sites. Volume surveys are performed to determine the volume of material that has been excavated or fill quantities that have been placed on site. Quantum Surveys can service small and large scale earthworks projects and open cut mining operations to determine the amount of material which has been mined. We can also survey stockpiles to determine volumes of material. This information can be used for the payment of contractors or used as an audit reference against cruder methods of volume calculation such as dump truck counts.